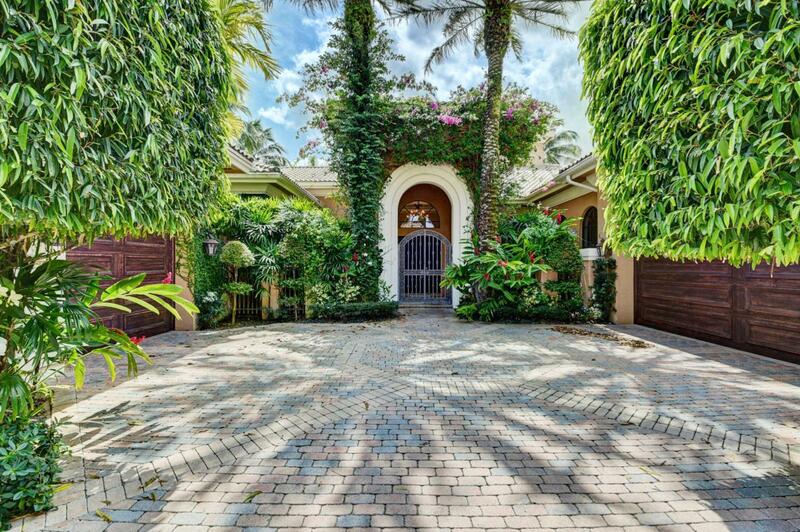 Every attention to detail & fine craftsmanship fill this exquisite estate of Mediterranean flair with 3 bedrooms plus an office & loft, 3 full & 2 half baths & a 3 car garage rich in architectural design. The Living Room offers an elegant pre-cast stone gas fireplace & a beautiful wet bar. The Dining Room features decorative columns & beautiful ceiling millwork. French doors open into an exquisite library in mahogany. The gourmet kitchen features light oak cabinetry, granite countertops, stainless steel appliances & a lovely breakfast nook. The inviting Family Room has a built-in entertainment center. The main floor offers a Master Suite with a marble bath, library & secondary bedroom. A dramatic staircase with wrought iron banister leads to a loft, bedroom & bath upstairs.The home also offers volume ceilings with crown moldings; 24" Saturnia marble floors; elegant hallway arches; solid core molded doors & custom closet design. The private patio paradise is extensively landscaped in lush tropical foliage and offers a covered lanai, open area with a pool & spa. The seller will be replacing the roof. Upstairs A/C replaced 2017, 2 A/C units 2006-2007. Water heater " 2017.